Mary Jo’s Catholic family attended church regularly, and the kids said the rosary in the car on the way to Catholic school taught by nuns on a beautiful, large campus that included a high school, college and church. “My Aunt Clair was a nun there,” Mary Jo says. Mary Jo was also close to her aunt Tantan, who taught Mary Jo to play piano at a young age – a skill she would use throughout her life and even major in during college. Mary Jo’s years of family photo training helped her develop patience, cooperation and obedience, preparing her for eventual careers as both a nun and model. “We were used to putting on costumes, taking pictures and being perfect,” laughs Mary Jo. 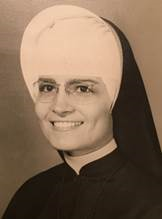 It was not unusual for teen girls raised in Catholic homes and taught by nuns in Catholic schools to see the positive aspects of becoming a nun who dedicated her life to Jesus and in service of others. 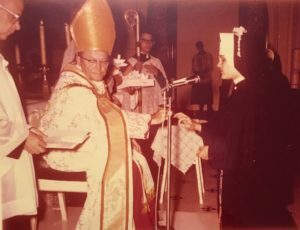 At age 16, Mary Jo decided to become a nun and started her five-year training program, completing high school and college on an accelerated schedule. Mary Jo majored in music education, taught kids in school and went on mission trips, among other activities. She loved her time with her fellow sisters in service, but after 13 years the pace wore her out, so she took a sabbatical. During this time, Mary Jo healed from health challenges, re-evaluated her life, started modeling clothes for Frost Bros department store and met future husband Chris. Funny things happened while modeling. Once, Mary Jo was completely blinded by the runway lights. 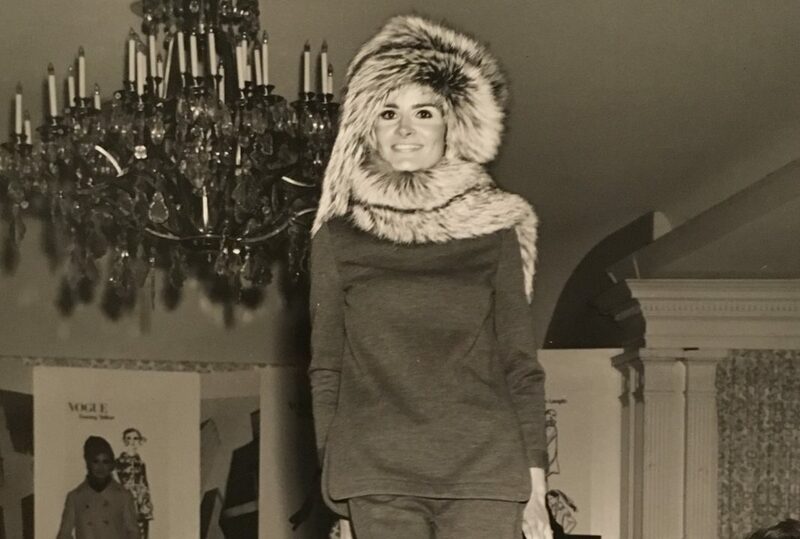 Mary Jo made her way into the upper echelons of the Texas modeling world, showcasing clothes for Geoffrey Beene, Valentino, Oscar de la Renta, Bill Blass and others. She eventually made the short list, and New York was calling. 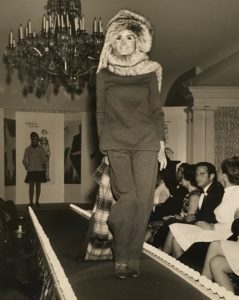 Her memoir “Convent to Catwalk” unravels that mystery. 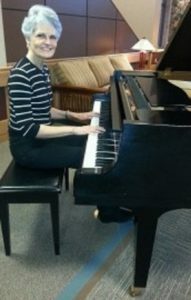 Mary Jo is always delighting her friends and neighbors at Panorama by playing the piano beautifully. After raising two children and delighting in three granddaughters, Mary Jo and Chris moved to Panorama to be nearer to family. A Panorama class led her to write “Convent to Catwalk,” which she recently read aloud at the Washington Center. Mary Jo plays piano throughout Panorama at benefits, events, monthly birthday parties and even on their PCTV channel. She also writes a monthly blog and more.